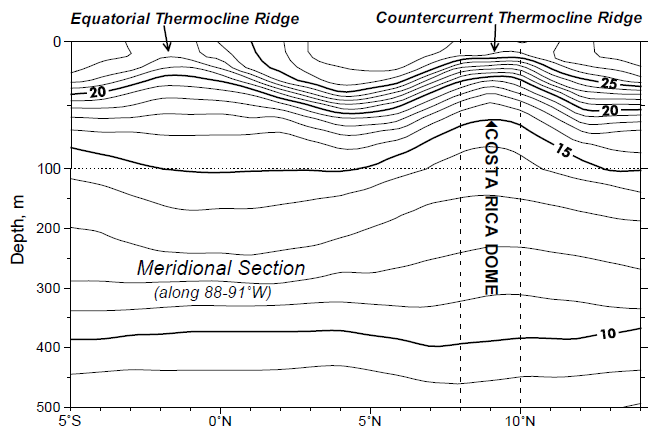 What is the Costa Rica Thermal Dome? The Costa Rica Thermal Dome (CRTD) is a marine biodiversity hotspot in the Eastern Tropical Pacific. 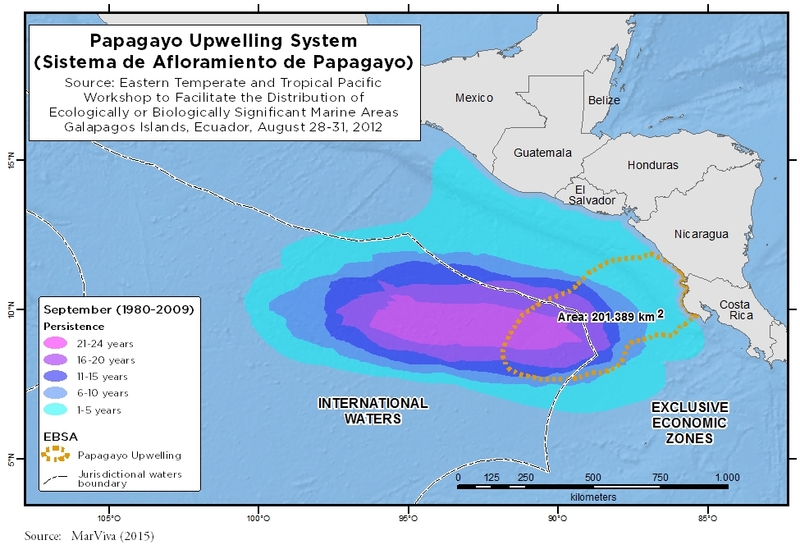 Located off the western coast of Central America, the width of its extent varies between 300 and 1.000 kilometers. The average location of the Dome’s core approaches 9° North and 90° West, beyond national jurisdiction. Its diameter and position changes year to year and during a characteristic annual cycle (Fiedler, 2002). 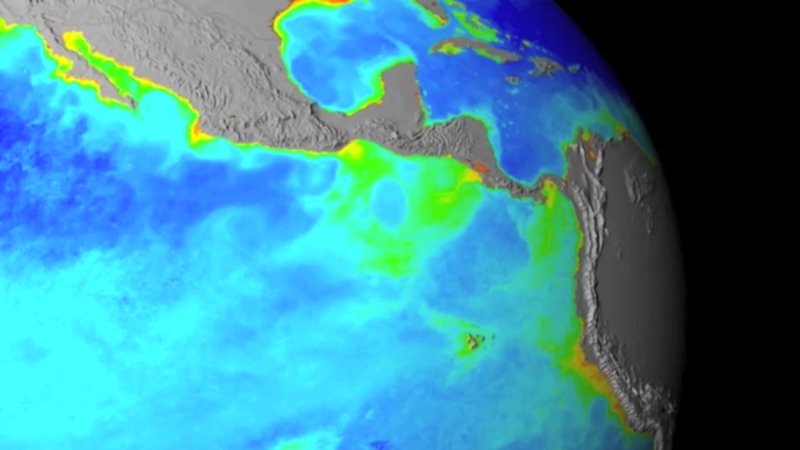 This oceanographic phenomenon results from the interaction of wind and ocean currents producing the vertical displacement of deep, cold, nutrient rich waters (close to 3.5 million cubic meters)1 , that approach the surface and create an upwelling system. Masses of cold water in the dome reach a depth of 15 meters while in areas surrounding the CRTD they remain at much greater depth2. Upon approaching the surface, nutrients in this cold body of water combine with sunlight and produce considerable algae growth. More algae, the first link in the food chain, equates to more food available for zooplankton and results in an explosion of its population, which in turn is manifested in each subsequent link in the food chain, generating a resource oasis in the sea. 2 Fiedler, P. C. 2002. The annual cycle and biological effects of the Costa Rica Dome. Deep Sea Research Part I: Oceanographic Research Papers Vol. 49(2): 321-338. 3 Fiedler, P. C. 2002. The annual cycle and biological effects of the Costa Rica Dome. Deep Sea Research Part I: Oceanographic Research Papers Vol. 49(2): 321-338.